Let’s go back to the summer of 2010. The Boston Bruins held the second-overall pick in the draft thanks to the Phil Kessel trade a season earlier. Of course, we all know who the club selected with that selection…at least I think so. Do you remember who Boston chose with their seventh-round pick? The so-called “Mr. Irrelevant” of the NHL Draft? Well, he’s about to become very relevant with the Bruins this season. Zach Trotman was selected 208 picks after Tyler Seguin, yet has been with the club longer than Dallas’ number-91. If the name sounds familiar, you may recall he spent 27 games in two stints with the Black and Gold last season. His first 17 games were played when captain Zdeno Chara was injured and the other 10 when Dougie Hamilton was injured late in the season. Trotman played alongside Chara for those final 10 games and held his own against top opposition players during the most critical stretch of Boston’s season. The Michigan native chipped in offensively as well, recording his first NHL goal against the Detroit Red Wings in Hockeytown. Better yet, it was the game-winner, earning the Bruins crucial points in the standings. This season, Trotman should be looking at a prime time role paired with Chara from the get-go. Will the man from Lake Superior State continue his meteoric rise from 210 to possible number-two in Boston? In short, he’s a prototypical Claude Julien guy: a sizeable, defense-first player who is no slouch with puck possession. Trotman clocks in at 6’3, 220 pounds and made the smart, simple plays coaches like to see from blue liners who are trying to earn a permanent spot with an NHL team. His advanced metrics (for those of you who rely on it) show the positive impact he made last year. Trotman had an even-strength Corsi-For at 53.8 percent while starting 53.4 percent of his shifts in the defensive zone. Considering his lack of experience prior to October, those are rather impressive numbers from the soon-to-be 27-year old. Injuries forced Boston’s hand in calling Trotman up last year but the rookie handled it extremely well and, given the departures on defense this summer, is deserving of extended playing time. There are some things that bear watching if Trotman takes on a more prevalent role. Top-pairing defensemen are pegged with fending off top opposition players for 82 games. That responsibility comes with a lot of ice time every game. Trotman averaged just 16:24 of ice time per game in his two stints with Boston last year and played over 20 minutes only once. 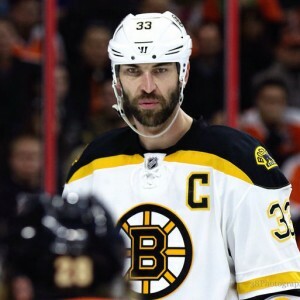 Compare that with Chara who played less than 20 minutes in only one game; the game he suffered his knee injury against the New York Islanders. The first handful of games should not be a problem for Trotman to adjust to top line minutes but what about later in the season? Given Chara’s age and permanent ligament damage in his left knee, this should be monitored, especially if the club is in a dogfight for a playoff spot. Will Trotman show signs of fatigue with an increased workload? You have to wonder if Julien will give his number-62 a few nights off just to keep him fresh down the stretch. It would not be a bad ploy as Trotman will be entering his first full season on a rebuilding defense corps that is a potpourri of veterans and young kids. Trotman should be commended for making it to the NHL after being selected with the last pick in 2010. It may be a time-old cliché, but his success is a testament to his work ethic and taking advantage of the opportunity given to him. The 27-game sample last year offered a glimpse of what he can bring to the Bruins’ blue line: a young, stay-at-home defenseman who is responsible with the puck and can chip in offensively. 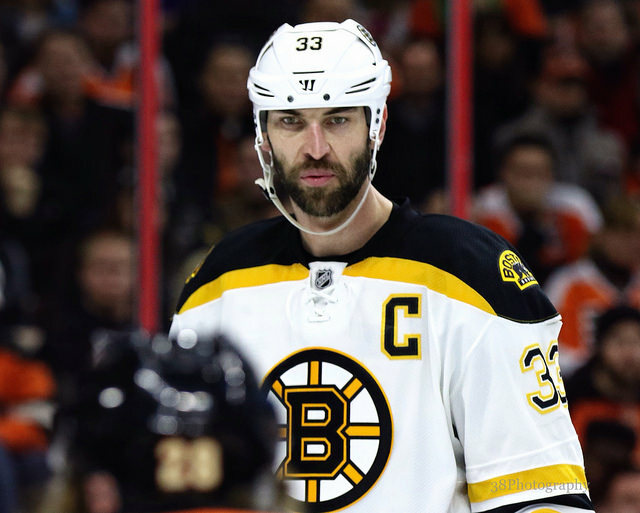 Now, he is projected to be a top-four defenseman this season for the Bruins. For a player that was an unknown five years ago, the next chapter of Zach Trotman’s NHL story will take him straight to the top of the Bruins blue line this season.